(MENAFN - Gulf Times) The Qatar Tennis, Squash and Badminton Federation (QTSBF) will mark Qatar National Sport Day (NSD) today by organising a huge number of sport and entertainment events at Katara, Qatar Foundation and the KhalifaTennis and Squash Complex. The QTSBF will host an open day for embassies at the Khalifa International Tennis and Squash Complex from 8am with participation of embassies of the Philippines, India, Pakistan and Nepal. During this event, expatriates will have the opportunity to practise their local traditional sports. The federation also invited Ashghal and Qatar Rail in addition to some private companies to participate in the sport and entertainment events to help workers to practice and follow a healthy lifestyle. Moreover, the QTSBF will organise the NSD Tennis tournament for juniors under 8, 9 and 10 years to feature with national team players and their parents. In addition, some mini tennis courts will be built in other venues outside the Khalifa International Tennis and Squash Complex, under the supervision of its coaches who will be available to teach community members, the basics of tennis. QTSBF president Nasser bin Ghanim al-Khelaifi said: 'National Sport Day is an initiative that reflects the importance of sport for our wise leadership of His Highness the Amir Sheikh Tamim bin Hamad al-Thani as sport plays a vital role in building a healthy society that able to bring about the desirable development. 'The QTSBF spares no effort in developing sport and supporting the national vision which aims at building a healthy society by organising a wide range of events at the National Sport Day and throughout the year to encourage the community members to lead active and healthy lifestyles. 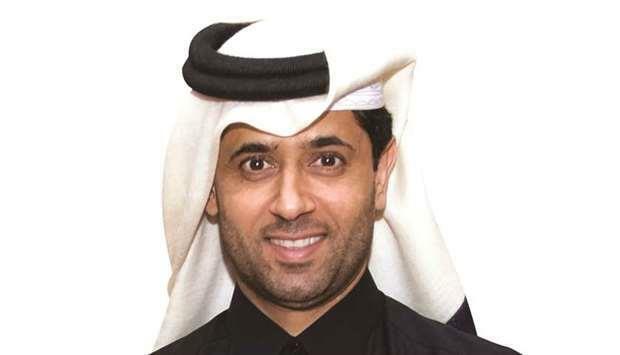 QTSBF secretary-general Tariq Zainal added: 'The QTSBF is proud of marking the National Sport Day by hosting a number of sport and entertainment events at different venues to help build a healthy community. The QTSBF is keen to provide workers with the opportunity to participate in all the events to organised by the federation to mark national sport day as we appreciate their role in the development of our nation.